Like every year Vapi Industries Association celebrated the 71st Independence Day of our Nation . 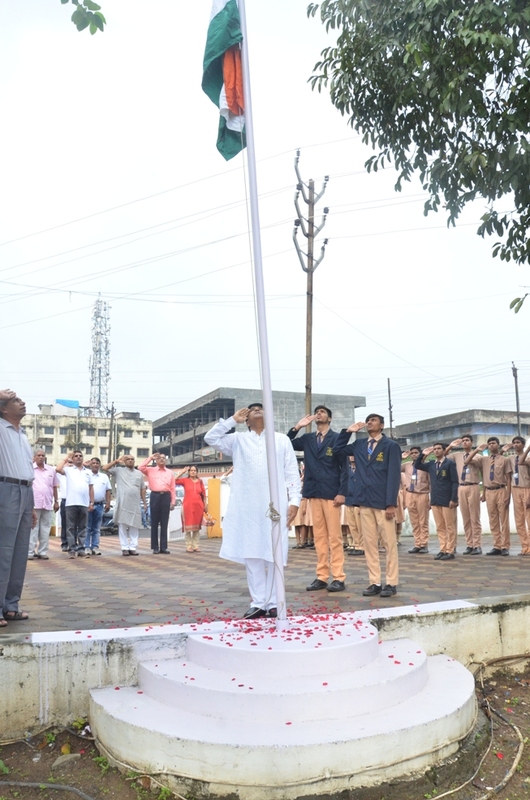 The Flag Hoisting was done by the Shri Hitendra Thakkar, President, VIA at 9:00 am at VIA Ground in the presence of Shri Chandrakant Pandya, Vice President, VIA, Shri Munna Shah, Treasurer, VIA, Shri Prakash Bhadra, Jt. 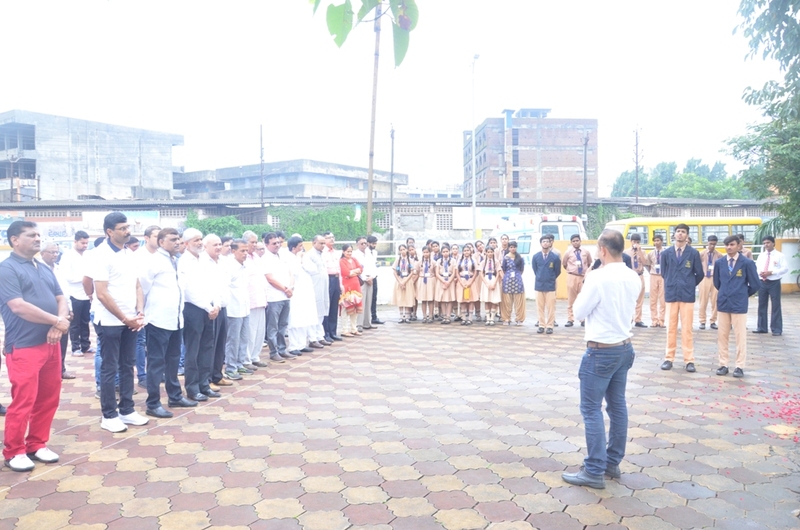 Secretary, VIA, Shri Mahesh Pandya, Past President, VIA, Shri Ashok Shukla, Past President, VIA, Executive Committee Members and Members of VIA, Members of Senior Citizens Club, Students and Teachers of St. Xavier's School, Vapi and Press & Media Members. Shri Hitendrabhai during his speech expressed the important role of the youth and the necessity to remain united to fight the evils and make India progress to become a super power. 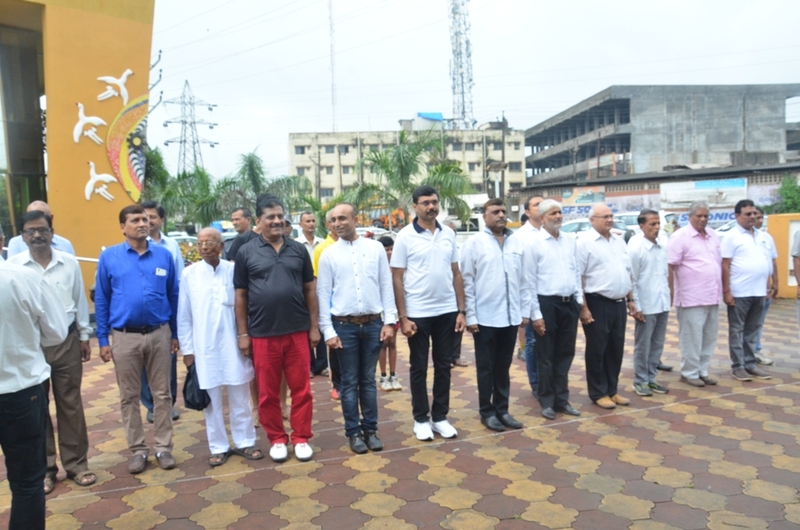 Shri Ashokbhai and Shri Maheshbhai expressed the need to join the Swachha Bharat Abhiyan and to keep our city clean. Shri Prakashbhai also expressed his views and said freedom from poverty and cleanliness all around will give the actual freedom to the Indians. Over 100 people joined the celebration function.